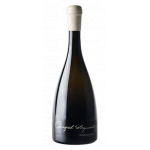 Marqués de Murrieta elaborates this La Comtesse de Pazo Barrantes 2015 (£130.26), a white wine from Rias Baixas that is based on 2015 albariño and has an alcohol content of 13%. The La Comtesse de Pazo Barrantes 2015 is the ideal white to combine with seafood and fish. According to Uvinum users, this white wine earns 4 out of 5 points while wine experts grade it as follows: robert parker: 93 and peñín: 94. 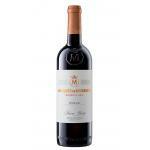 Not all excellent Spanish wines are produced in La Rioja. 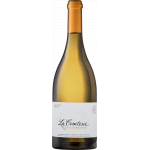 Take a look at the white wine La Comtesse de Pazo Barrantes 2015, produced in the Galician region of Rias Baixas, which is influenced by an Atlantic climate with a lot of rain. The La Comtesse de Pazo Barrantes 2015 has an intense yellow colour and the bouquet has aromas of mangolia blossoms and fresh fruits. 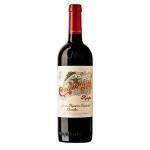 Eucalyptus notes are also noticeable due to the Atlantic character of the wine. 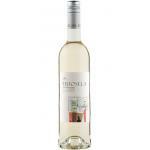 In the mouth, the white wine presents great freshness and structure with excellent length. As it is proper for a Galician wine, it fits very well seafood and fish. - View: straw-colored, intense and bright yellow. - Nose: aroma of nutmeg clean and elegant. - Mouth: Aromatic and fresh with good flavor and fruity resistance. PROCESSING: soft pressing, fermentation in stainless steel at a controlled temperature of 20C. PAIRING: spicy, fish and white meat snacks. 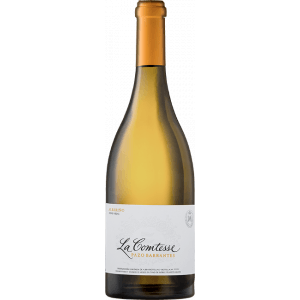 - The Comtesse is a white wine with D. O. Rías Baixas prepared in Manor Barrantes hold 100% Albariño grapes, from strains of more than 40 years. - It has an intense yellow color. My opinion has the best Albariño I've drunk. 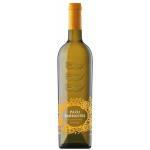 - View: La Comtesse Pazo de Barrantes 2010 shows a bright yellow color. 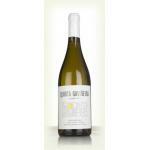 If you want to buy La Comtesse de Pazo Barrantes 2015, at Uvinum you will find the best prices for Rias Baixas white wine. At Uvinum, at the best price, in a 100% secure and easy process. We offer more than 59.000 products for sale which makes us leaders in the sector of selling wine, beer, and spirits in Europe thanks to more than 38.000 customers enjoying Uvinum.